If all goes according to plan, Hardwick-based Caledonia Spirits will open a 30,000-square-foot riverfront distillery on Barre Street in Montpelier in the spring of 2018. The new facility, designed by Colchester's Wiemann Lamphere Architects, will house all the company's production of its popular Barr Hill gin, vodka and other spirits, as well as a full-service bar, event spaces, company offices, and ample docks for shipping and receiving. At this stage, the City of Montpelier has approved the company's site-development plan. The city council has also approved $466,700 to fund site-related infrastructure improvements, including a railroad crossing and changes to water lines and other utilities, according to Caledonia Spirits marketing manager Anna Bromley. 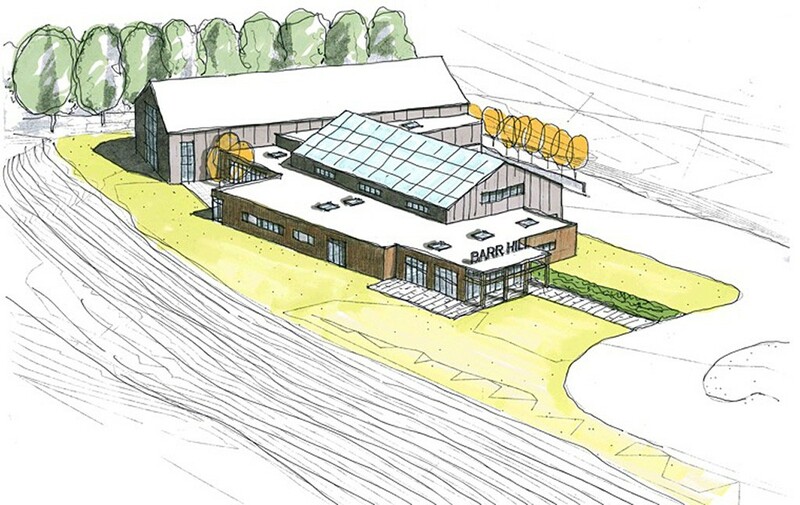 Bromley said the distillery is part of a larger effort to develop the area around Barre Street in southeast Montpelier; other plans for the area include a bike path and a new boat launch on the Winooski River. "We're really hoping to contribute to that revitalization of that part of town," Bromley said on a call earlier this month. Pending the completion of a purchase-and-sales agreement on the property, Caledonia Spirits hopes to break ground in August, Bromley said. While the company plans to "maintain a presence" in Hardwick, she doesn't specify what kind of presence that will be. The original print version of this article was headlined "Capital Booze"